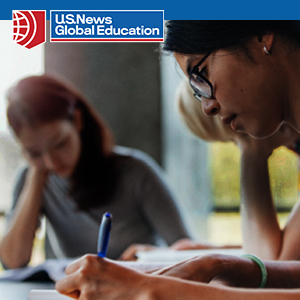 Many American students—and 90,000 international students—attend a community college for the first two years of university studies in the USA. With nearly 1,200 community colleges in the country, there are many benefits of this model in comparison to studying all four years at a university. Community colleges offer significantly lower tuition, smaller classes and strong student support. And oftentimes, they serve as pathways to prestigious four-year universities. In fact, many university advisors recommend that students attend community college “college transfer” programs first, and then transfer to universities for the final two years. For example, students studying at Santa Monica College, a community college, have transferred to UCLA upon receiving their two-year transfer degree. Costs are lower. Tuition at community colleges can be as much as 20 percent to 80 percent less than at four-year American universities and colleges. This is a tremendous cost savings for the first two years of the bachelor’s degree. Dusan Djokic from Serbia is studying at Edmonds Community College in Washington State and plans to transfer his community college credentials to a university so he can study Business Administration. "I chose Edmonds Community College because I could get my high school diploma and also, at the same time, start earning my Associate of Arts degree. It was great opportunity for me to finish two programs in two school years. I am now one year ahead of my friends in Serbia. I am planning to work for one year on OPT (Optional Practical Training); then I will transfer to a university. My top two universities are California State University in Northridge or City University of New York." 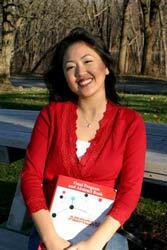 "Coming to America and Edmonds Community College was the best choice I could have possibly made. I realized that it is very important to stick to your goals and do not give up. There are so many opportunities on campus such as activities, clubs and jobs. Doing well in class and participating on campus will help you to be successful toward your dreams." Five Tips For a Successful Transfer! START WHERE YOU WANT TO FINISH—First, find out exactly what the requirements are for admission to the school and to the academic program you want to transfer to. Then, choose classes now at your current school based on what you know you’ll need in the future. BE ORGANIZED AND READY TO WORK HARD—Exploring colleges and universities to transfer to in the future is exciting and fun, yet it does take effort. In addition to general admission standards, like the number of credits you have taken and your overall GPA, there might also be additional requirements for admission into your major, such as specific classes, a portfolio, a personal essay or even an interview. TAKE FULL ADVANTAGE OF YOUR RESOURCES—Work closely with advisors at both your current school and, if possible, at your future school. Clearly communicate to everyone what your transfer goals are so that you and your advisors are all working in concert with each other. ATTEND NEW STUDENT ORIENTATION—Don’t assume that because you have already attended college you don’t need to attend an orientation program for new students. Nothing could be further from the truth. Even though you are bringing college credit with you when you arrive, you are a new student, and you need to learn how to navigate the systems and resources at your new school. HAVE A DREAM SCHOOL, AND A PLAN “B”—If your dream has always been to attend a nationally ranked and highly selective university, then develop a transfer plan for this school and pursue it with enthusiasm. At the same time, keep yourself grounded and keep your options open. There are thousands of truly excellent colleges and universities for you to consider. Just because you haven’t heard of a school doesn’t mean that in the end it might actually be the very best school for you and become your dream school! Elizabeth Lyon, Associate Director and Transfer Advisor at Edmonds Community College. 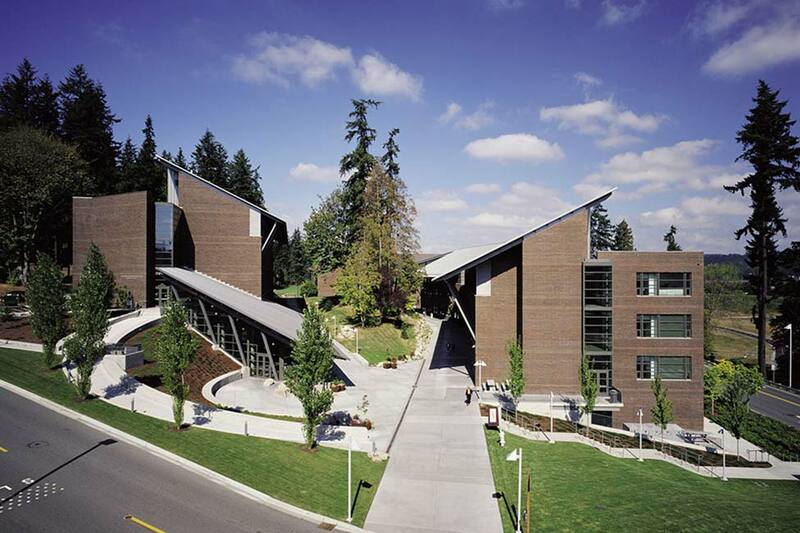 Edmonds Community College located 20 minutes north of Seattle is a state college offering two-year university transfer degrees, English as a Second Language (ESL), professional degrees and certificates; as well as High School to University. The campus combines excellent coursework, award-winning faculty, and superior services to help students with all their needs while living in the United States. Many colleges and universities have special arrangements known as “articulation agreements” or Transfer Admission Guarantee (TAG) partnerships with other institutions. Articulation agreements help ensure that the classes taken at a community college transfer easily to partner institutions with little or no loss of credit and time. For example, the 10 Maricopa Community Colleges in the metropolitan area of Phoenix, Arizona, work very closely with the University of Arizona, Arizona State University and Northern Arizona University to make sure that Maricopa’s courses will transfer. University Transfer Admission Guarantee partnerships guarantee a community college student’s admission upon completing specific requirements set by the university. 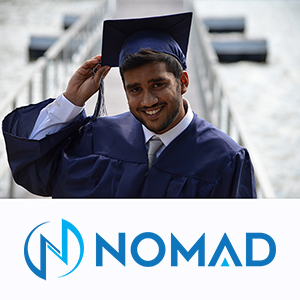 These requirements may include a specific grade point average, coursework, and TOEFL score. Some majors are excluded from TAG agreements. For example, Business Administration is excluded from TAG agreements to the University of California, Irvine. Most commonly articulation and TAG agreements will be between community colleges and four-year colleges and universities within the same state, but not always. For example, all the 115 California community colleges have articulation agreements with the California State University (CSU) system and the University of California (UC) system. For example, if a student successfully completes the general education requirements for California State University or the University of California at Santa Monica College, he or she can transfer to one of the universities and complete the last two years for the bachelor’s degree. These partnerships provide students an opportunity to save money on community college tuition and still transfer and graduate from a top-ranked university. Whether students choose to study the arts or sciences depends on what they plan for their “major” field of study. During the first two years, students are studying a wide variety of humanities, social sciences, and natural science courses along with some foundation courses to prepare for their major. Don’t allow some of the challenges of transferring to deter you. If you plan ahead, a transfer can be an excellent way to accomplish your educational goals and enrich your experience with American higher education. Just as shifting gears in a car is a way to get more speed and power, transferring from one college or university to another can propel you to greater accomplishments. What advice would you give a student considering a 2+2 option? I would say the biggest challenge is overcoming the language barrier. In order to be successful in the United States, the language is a very important part. I’d encourage each of the students to study in an English language program if someone doesn’t feel comfortable with expressing thoughts and ideas in English. If the students move on to college course without developing their English skills, they will likely to have a difficult time understanding the class lecture. Scott Han is the Director of International Marketing at Cascadia College in Bothell, Washington, north of Seattle. At Cascadia College, 74 percent of students enroll with the intention of transferring to a 4-year university program. "I am currently preparing to transfer to Brigham Young University (BYU). During my time in Cascadia, I was able to discover my interest and major, thus, I decided to study Actuarial Science, and possibly double major with Business Management." Many community colleges host “transfer fairs” so their students can learn about opportunities to earn a terminal degree at a four-year university. At these fairs, usually held in a school auditorium on campus, students have a great opportunity to talk to admissions representatives from prestigious universities around the country. For example, an international community college student studying in Seattle may transfer out of Washington State to places like California or New York. Representatives from other U.S. universities come to international transfer fairs to recruit outstanding international students into years three and four at their universities. Sometimes several other community colleges in a region join as well so the fairs can draw even more universities to a multi-day event. One of the unique and special features of community colleges in the USA is the hands-on, personal attention students receive. Smaller class sizes and an overall smaller student population allows for such attention. Along with tutoring programs, accessibility to professors, and the like, many community colleges also offer specialty programs. The majority of these specialty programs are designed to give students an edge when preparing to apply and transfer to four-year colleges and universities to complete their bachelor’s degrees. Rockland Community College (RCC) of the State University of New York gives students exceptional opportunities through their Sam Draper Mentor/Talented Student Honors Program (MTS). The Mentor/Talented Students Honors Program is nationally recognized for its academic rigor and the successful transfer of its graduates to Ivy League and other top-tier universities. Universities such as Harvard, Yale, Columbia, Cornell, the University of Pennsylvania, Stanford, NYU and many more have accepted MTS Honors graduates. “RCC’s Honors Program prepared me well for my transition to Cornell, and then to the University of Chicago,” explained Honors graduate Wenshuo Zhang who now holds a PhD in Molecular Metabolism and Nutrition. Rockland Community College’s most distinguished faculty members are matched one-on-one with each Honors student. Mentors guide students every step of the way in the educational process. They assist in class selection; help students choose a major; monitor academic progress; and provide transfer guidance to students who would like to transfer to a four-year college or university. 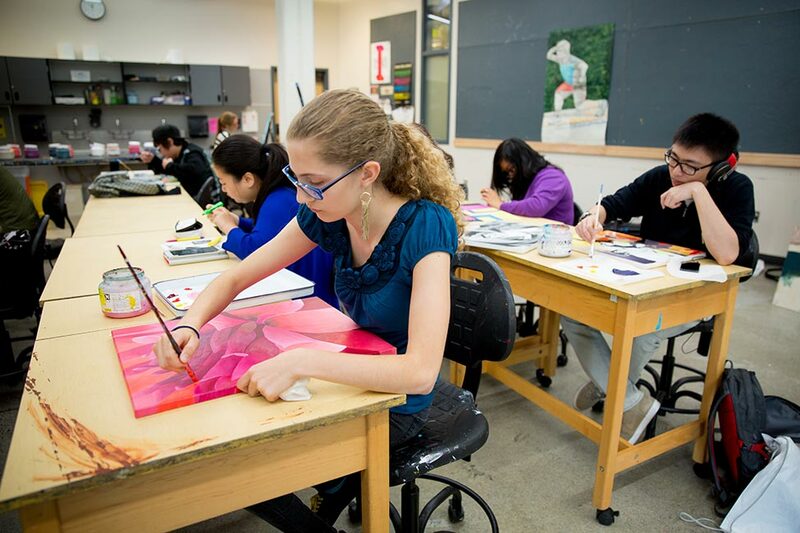 A range of Art, Liberal Arts, Humanities, Social Science, Science, Math, and Business courses are offered. “The MTS program pushed me academically and opened doors for me that I never thought were even possible,” said graduate Prisley Arias who is now studying at University College Cork Law School in Ireland. Rockland Community College is located 25 miles northwest of New York City in suburban Suffern, New York. It is one of 64 campuses in the State University of New York (SUNY), one of the largest university systems in the USA.